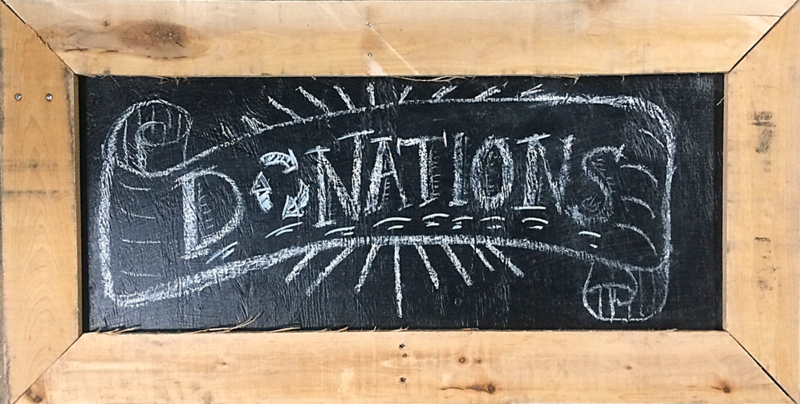 Did you know we distribute free materials to local nonprofits and community groups? DC Prep is a public charter school network that provides personalized educational programs tailored to each student. 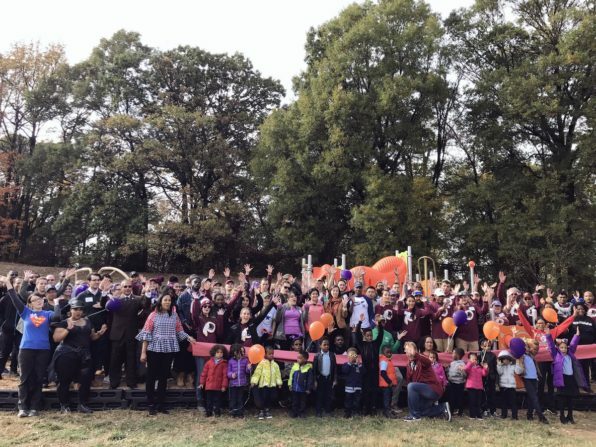 The organization’s mission is to bridge the educational divide in Washington DC, by guiding students from underserved communities with free academic and social preparation for a successful future. 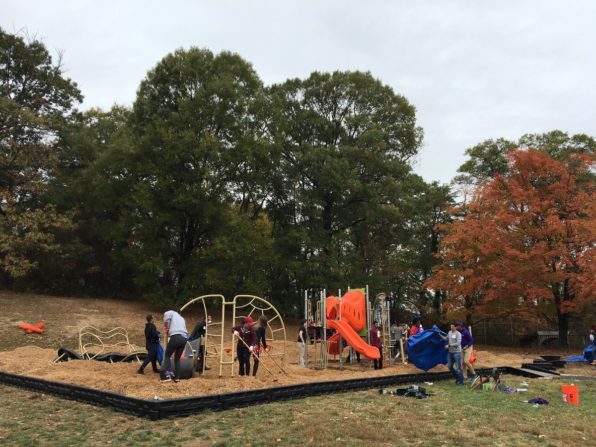 Through Community Forklift’s Community Building Blocks program (CBB), DC Prep was able to borrow items to build a new playground at their Prep Benning Elementary and Middle School in NE DC. 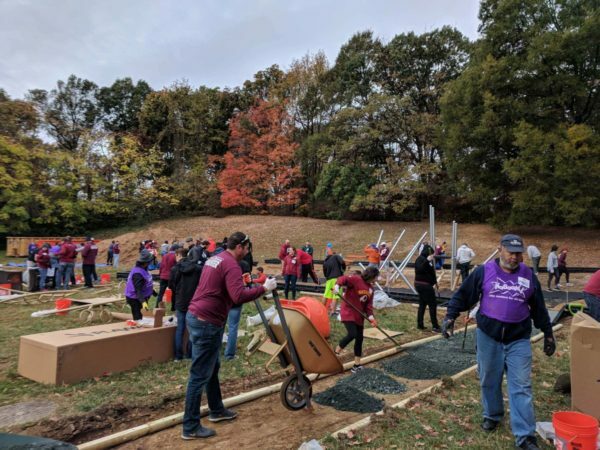 A huge group of volunteers was lined up and the building day was fast approaching when some expected tools failed to arrive. Luckily, Raymond Weeden, Jr. thought to come to Community Forklift. We quickly awarded DC Prep a loan through our CBB program, and Mr. Weeden was able to find a ladder, sledgehammer, hammers, jigsaw, drill, and other necessary items for his volunteers to use. According to Mr. Weeden, Community Forklift’s contribution has helped impact an estimated 800 people! 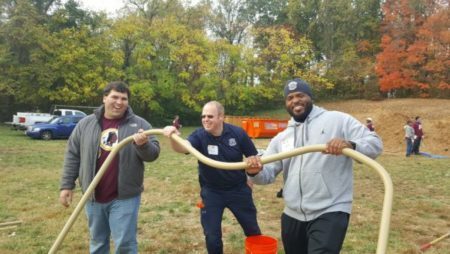 The Washington Redskins Charitable Foundation, Bender Foundation, Inc., DC Prep – Benning Campuses, and KaBoom! were all involved in funding and providing volunteers for the playground.